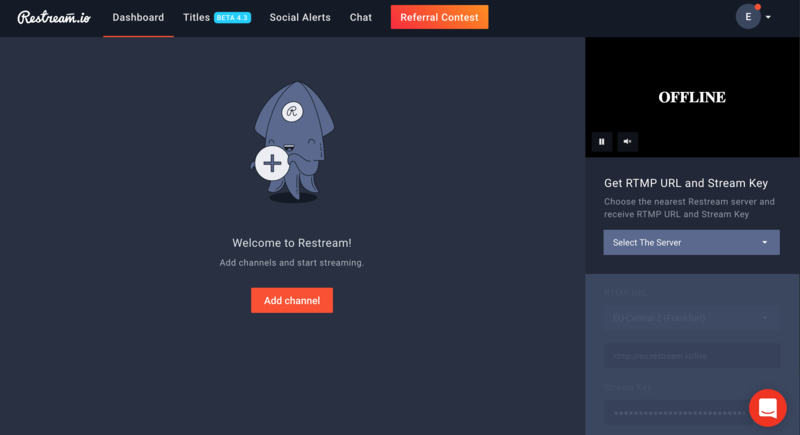 Restream.io is a service that you can use to stream to multiple services like Twitch, Youtube and under a paid instance, Facebook Live. 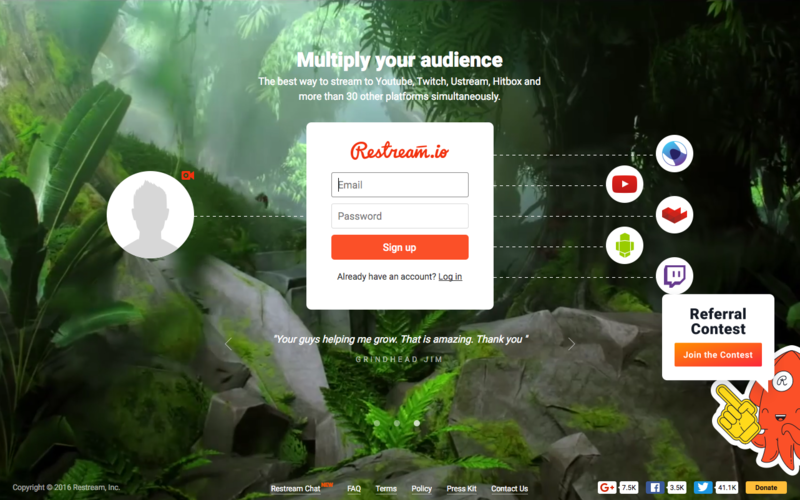 First, go to Restream.io and Sign Up using an email and password. Once you Sign Up/Log In, you will be brought to the Dashboard. Click Add Channel, then select the service you would like to stream to. Then select the Connect button, or enter the necessary RTMP URL/Stream key information. You can also select another platform like Facebook Live using the Custom Platform (RTMP) option. NOTE: Restream.io requires an additional cost to use this feature. Once you establish a successful connection with the stream provider, the channel will appear in your Dashboard. You can toggle the availability of the channel by clicking on/off. 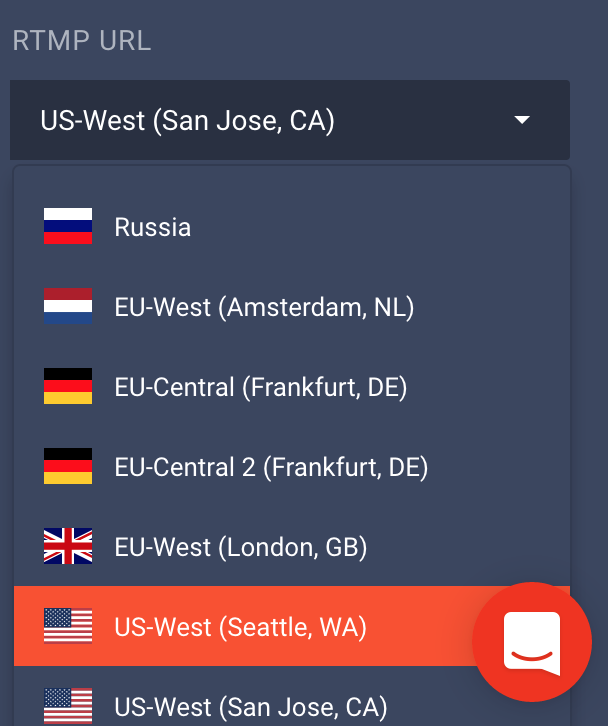 Next, select a server that is closest to your geographic location. This will generate an RTMP URL and Stream Key for your broadcast for this specific streaming service. Next, you’ll want to open an encoding program like OBS or Wirecast. In Wirecast, you’ll select Output then Output Settings. 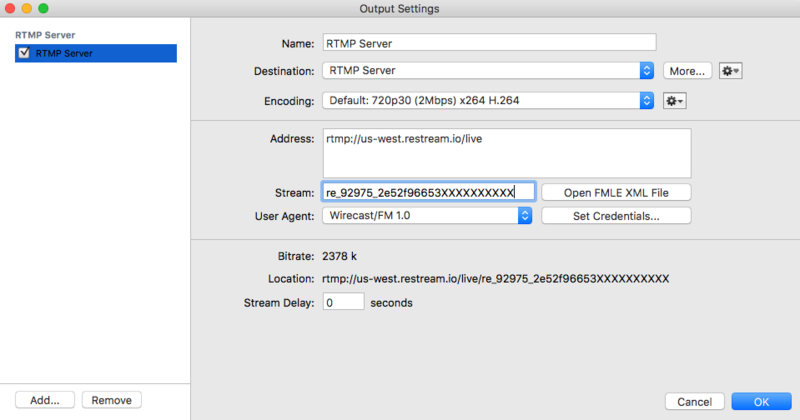 Select RTMP Server for the Output Destination and press OK. You will enter the RTMP URL into the Address section of the Output Settings in Wirecast. Then insert the Stream Key into the Stream section. 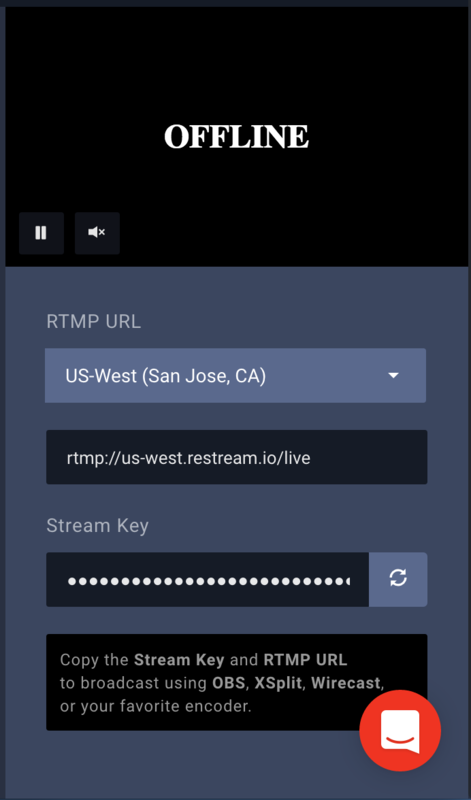 To add other RTMP Server publishing points, click Add under RTMP Server and repeat the steps above, or add your own Ustream RTMP URL and Stream Key.